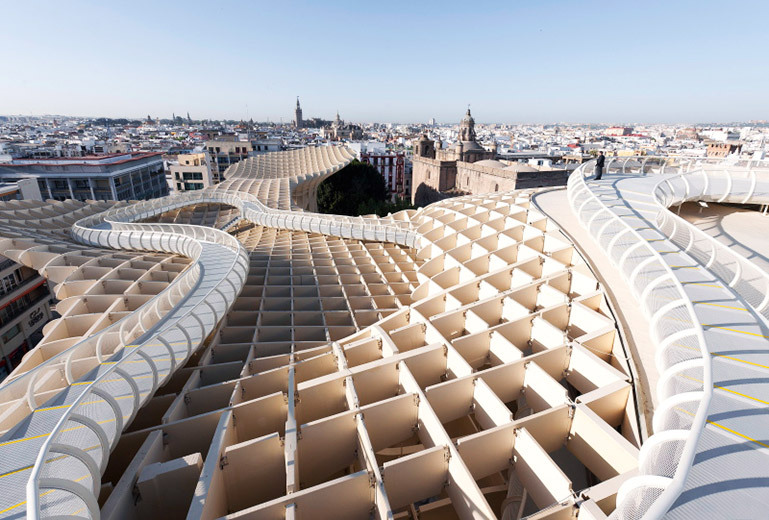 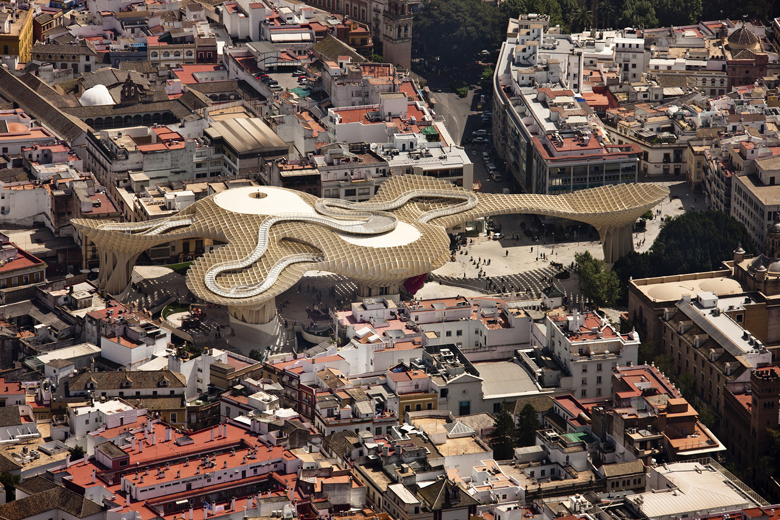 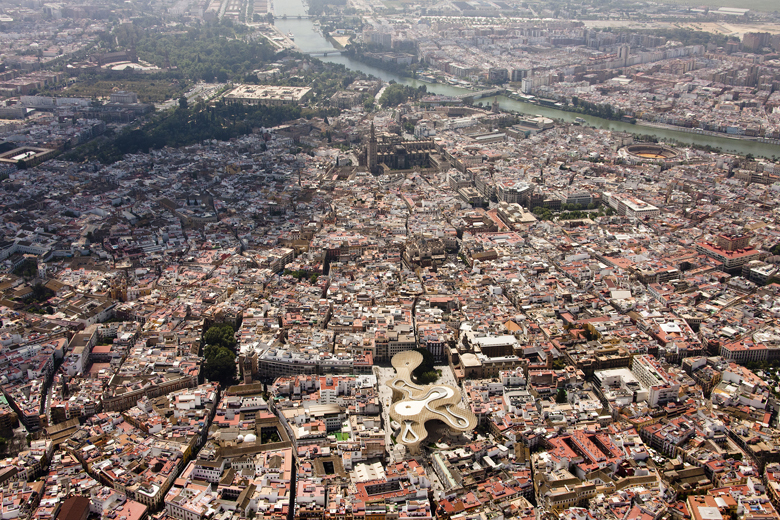 My FAVE building of the week is Seville’s Metropol Parasol designed by J.MAYER H. architects. All I gotta say is WOW. 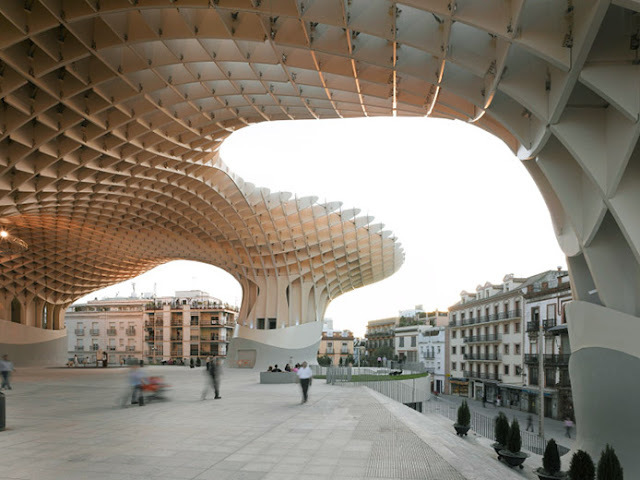 This impressive urban space with its towering timber structures swell within the dense fabric of the medieval inner city of Seville. 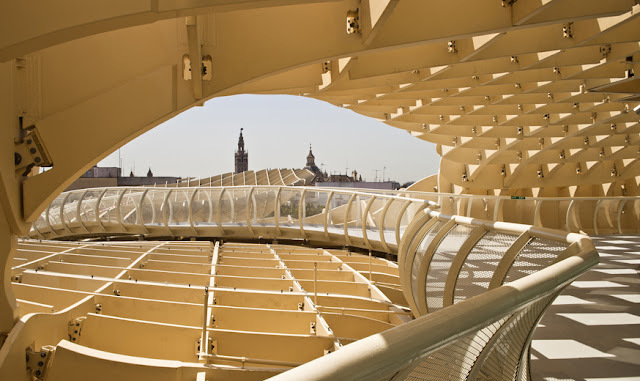 It connects the historical and contemporary with an archaeological museum, a farmer’s market, an elevated plaza, multiple bars, restaurants and terraces. Let the pictures speak for itself.